SCROLL BELOW for links to Amazon and Createspace eStore. Hi everyone! As some of you know I have been working on a non-book that became a book. It is now Published! 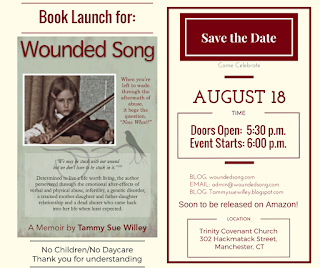 please visit my new website: woundedsong.com to leave comments about the book (if you've read it). is now available on Amazon and Createspace eStore! 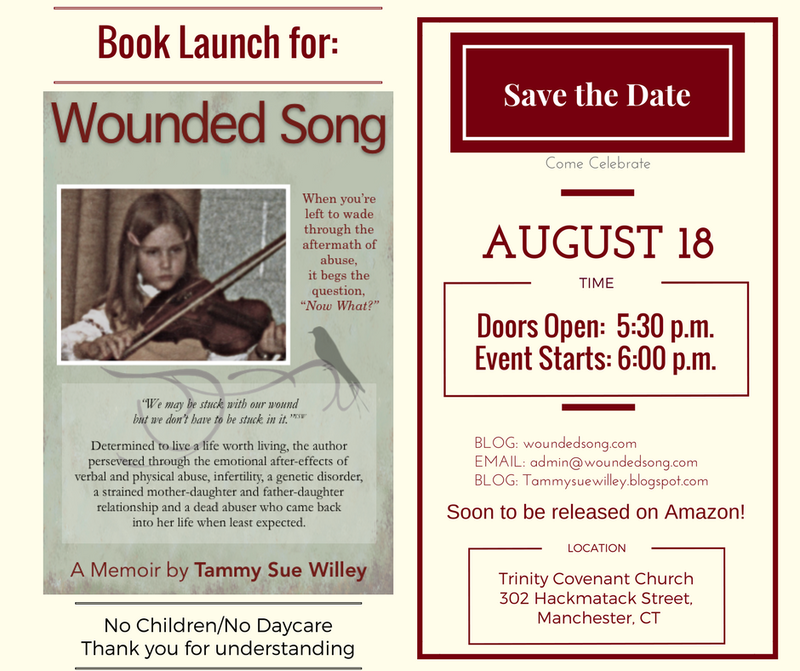 BOOK LAUNCH: if you attend, there will be a limited supply of books available at the book launch. Always, always and always I'm am grateful for the encouraging feedback I've received over the years that helped me to believe that my story mattered!